LOVE those action photos!! Happy busy dogs!! Wow this looks like so much fun!! I am getting a puppy soon and cannot wait – I will have to teach it to do cool stuff like this! Hi Camping girl! What breed will your puppy be? How exciting. The dogs really do love flyball! 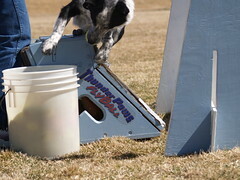 Ahh Flyball is the best! I can’t wait to bring Dylan to a practice with his new team! I hope you will have your camera there!!! 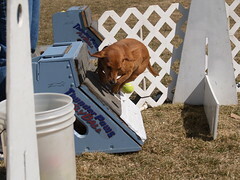 Ahh Flyball is the best! I can't wait to bring Dylan to a practice with his new team! I hope you will have your camera there!!! I’m excited to get some Dylan pictures!! I'm excited to get some Dylan pictures!! Those pictures are great! 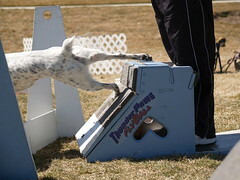 Flyball looks like soo much fun! Hey Cynthia! I think my puppy is going to be a king charles spaniel. We need to move into our new house first so that it will have a garden to play in. I’m not sure it will be as athletic as your dogs though! Hey Cynthia! I think my puppy is going to be a king charles spaniel. We need to move into our new house first so that it will have a garden to play in. I'm not sure it will be as athletic as your dogs though!